Nine years ago I met the women of the Moses family, all four generations of them. Fitting name for a family dislocated by flood. 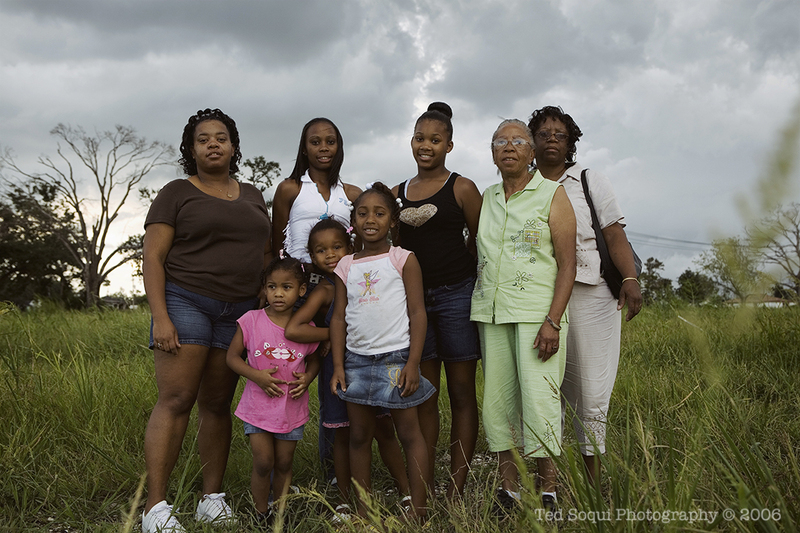 They all grew up in the same family house located inside New Orleans' Lower 9th Ward. It was the first anniversary since Hurricane Katrina. It was also the first time they went back the see the land that once held their large house which was destroyed by the levee breaches that flooded most of the city. I just Google Earthed their address, it is still an empty grassy lot. They all moved to Texas after the hurricane. Today's view of their former home.